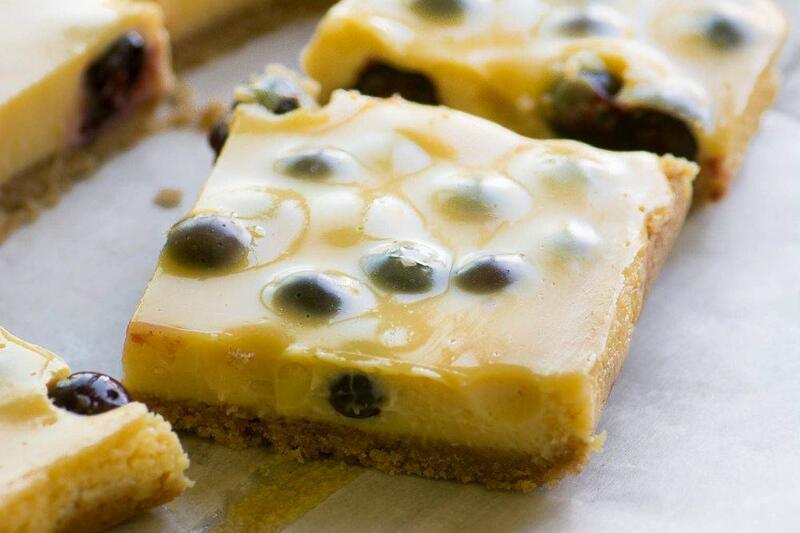 Blueberry Lemon Bars ~ this easy lemon bar recipe is a perfect quick spring and summer dessert ~ serve them chilled right from the fridge! Toss the crumbs with the sugar and melted butter, making sure to get all the crumbs evenly saturated. Press the crumbs evenly into the bottom of a 9x9 inch square baking pan. Whisk the egg yolks well, and whisk in the condensed milk until well combined. Add the lemon juice and food coloring, if using, and mix again. Fold in the blueberries. Pour into the crust and bake for about 15-20 minutes, until just set. Let cool, then refrigerate for a few hours before serving. Serve cold with a dollop of sweetened whipped cream.